The Threshing Floor is a prayer platform where the mountains are beaten small and the hills are made like chaff. On this platform there is redemption for the people of God from their enemies, the slings of hell is indignantly resisted and the wisdom of God is employed to confound the stratagems of Satan. We PUSH God’s will into existence as a woman in labor travails and births by pushing out the child in womb. Arise therefore o daughter of Zion and THRESH. (Micah 4: 10-13). The Threshing Floor is that place where your victory is assured. 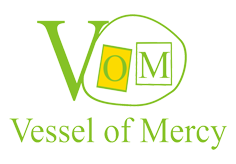 This is the business fellowship arm of the ministry where women in enterprise gather to seek the face of God and create wealth in the place of prayer (Deut. 8:18). It is God’s priority in this end time, to raise woman who will be TRAIL BLAZERS in every sphere of business endeavor. God is seeking women in the order of the Proverbs 31 woman and women in the ministry of Jesus as found in Luke 8:3. 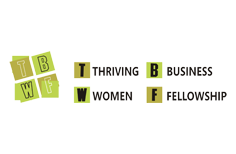 At TBWF, we understand that business is warfare, hence success cannot be left to chance (Matt. 11:12). Prayer therefore is our primary focus on this platform and this has given the fellowship a tilt from regular business fellowship. An opportunity for networking is encouraged at our fellowship. Ours is versatile business fellowship with results. I was hungry and you gave me food; I was thirsty and you gave me drink; I was a stranger and you took me in; I was naked and you cloth me; I was sick and you have done it to me”. In as much as you have done it to one of the least of my brethren, you have done it to me” (Matt. 25:35, 36&40). The poor wanderer is sheltered. The orphans and widows are taken care of. Acts of benevolence is embraced as led by the Spirit of God.